Slightly easier than "Where's Waldo"
Are we facing a new crisis of “Too Many Heroes?” Is it about to get worse? Or is it really about to get better? 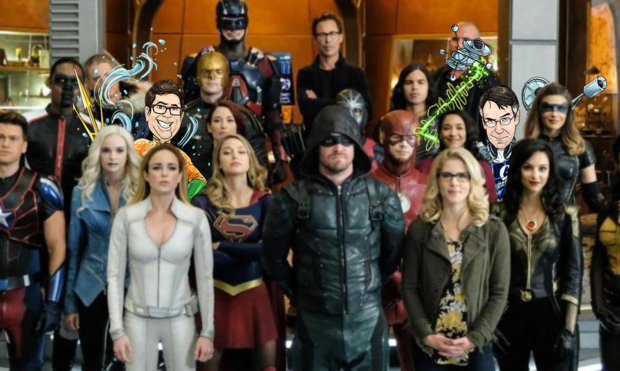 This week the fanboys discuss how the Arrowverse is set to grow, as well as something new for Superman, the fates of Iron Fist and Luke Cage, new universes for Star Trek, DC, Netflix, Disney, CBS and… well you get the picture. It’s your one stop shop for comics, movies, and TV news!